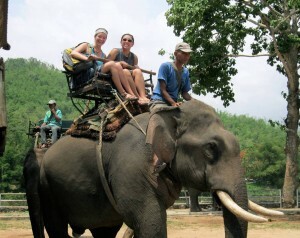 Grace students take in a different form of transportation in Thailand. Spring Break is a week of fun and relaxation for most students. So why would a student spend their break on a school trip? Each March, several teams of Grace College students choose to spend their precious vacation days completing short-term mission trips across the globe, this past March to Ireland, Israel, Philadelphia, Brazil, Taiwan and Germany. Whether as a historical tour, church ministry, full-culture immersion, or disaster relief, Go Encounter Grace trips are a unique opportunity each year for students to gain real-life experience in a cross-cultural setting. Grace’s general education core stresses the value of immersive learning. A Go Encounter trip is one way to meet the cross-cultural field experience requirement of the Global Perspectives class, which is designed to develop a biblical lens for seeing the world and discovering ways to become more effective in cross-cultural interactions. Partnering with missions organizations and churches, students join teams of like-minded young men and women led by experienced Grace faculty and staff to practice ministry skills in new and exciting contexts. The leaders and hosts of the trips make a point to dig deep into the culture. Often, the trips focus on building relationships, an essential element of missions and ministry. In early March, six young ladies met missionaries John and Becky Pappas in Aalen, Germany, with the goal to use speaking English in the German context as a means of bridge building. 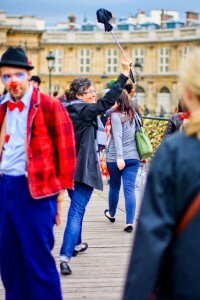 Grace College Associate Dean and Professor Jacqueline Schram leads the way as students tour Paris. This past May, another six teams of Grace students set off on summer trips to Fiji, South Korea, Japan, the Philippines, Paris/London, and Thailand/Cambodia. 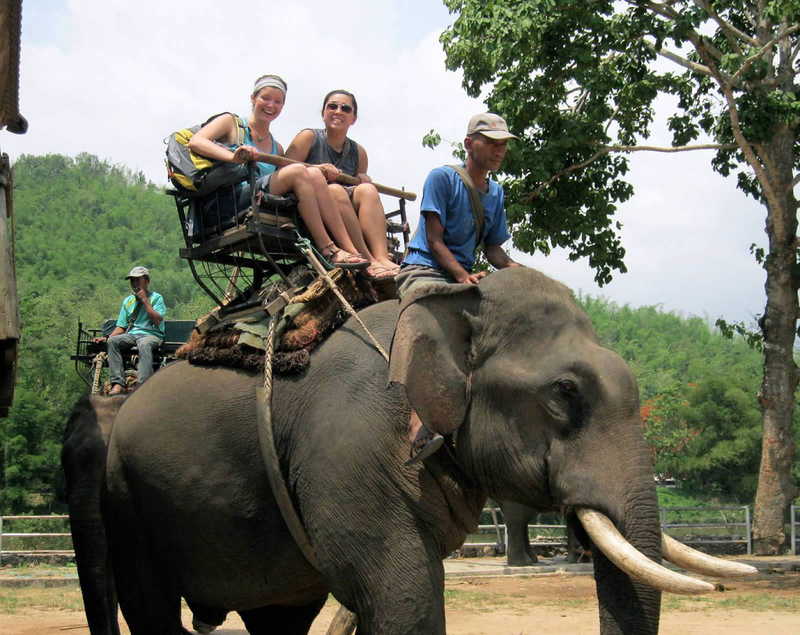 Students traveling to Thailand and Cambodia worked closely with Destiny Rescue, an organization that brings hope to children trapped in human trafficking and sexual exploitation. They were able to experience the culture and history of both countries, visiting ancient ruins and the Killing Fields of Cambodia and sampling delicious local cuisine. Students visiting South Korea volunteered in the Junior High English Ministry Program for the Yang Dong Je Il Presbyterian Church. The students lived with Korean families during the entire stay in Mokpo, Korea, providing them with an inside look into the culture and firsthand experience with language immersion. Those traveling to Paris and London took an historic approach, touring many of the famous sights of the two cities such as the Louvre, the Château de Versailles, and the Eiffel tower. The Japan trip found students volunteering for relief work in tsunami-torn areas, doing initial research and making plans for future fundraising efforts to build a school. Students visiting Fiji and the Philippines enjoyed an island paradise while observing firsthand the real needs of the communities and cultures within. 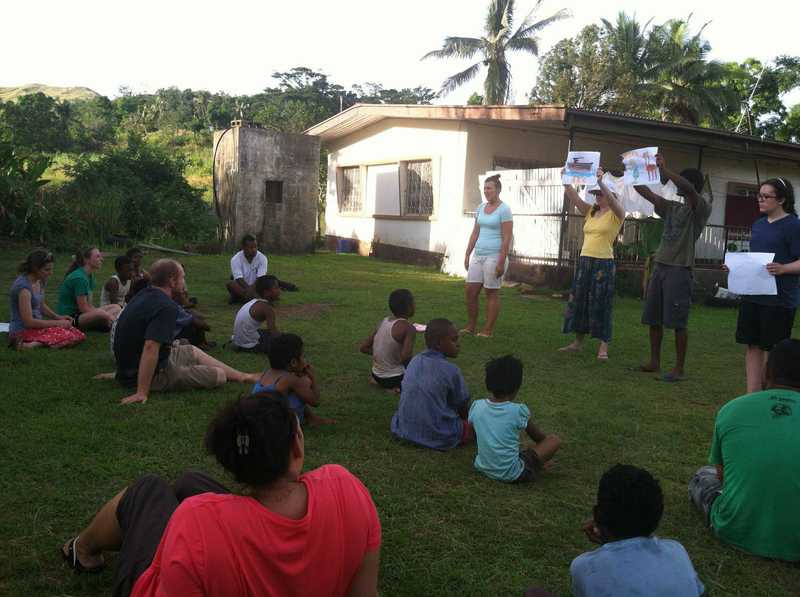 “One of the highlights of the Fiji trip is getting to do home visits with the locals, many of whom have never heard the good news of Christ,” explained Deea Breeden, Fiji trip leader and student employment coordinator for Career Services at Grace. “It’s not about the projects we get done or the work that we accomplish, but the relationships we build in the process. We want the people in Fiji to see God in us. A cross-cultural trip doesn’t have to mean across the world or even out of the country. In the past, students have visited to inner city Philadelphia to work with Urban Hope and Chicago to work with Inner City Impact. The final Go Encounter 2013 trip will take place this December, where students will travel to Atlanta, Georgia, to spend seven days immersed in the history and culture of African-Americans. 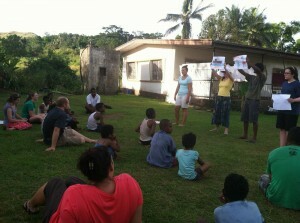 In Fiji, the students share the Good News of Jesus Christ.